Click on any of the areas for detailed maps and information. Although the population of Kuala Lumpur is small by Asian standards, it's still a rather big city, with several different neighborhoods to explore. 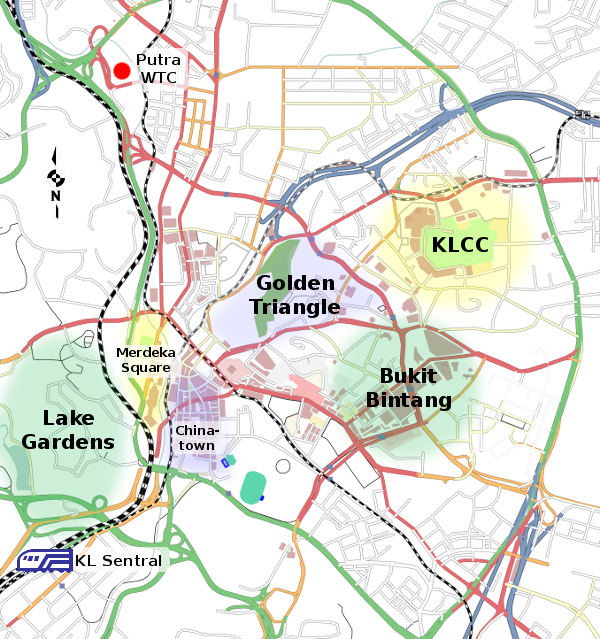 Some of these areas, such as Merdeka Square and Chinatown, should be explored by any first-time visitors. Those with a deeper interest in history or nature will want to spend a day or more in the Lake Gardens area, while power shoppers will have a hard time tearing themselves away from Bukit Bintang and the Kuala Lumpur Convention Center area.